As you guys may have seen on Instagram, I spent Monday and Tuesday on a fun quick overnight trip in Chicago with Barilla. I was at their headquarters with some fellow Registered Dietitians to learn more about pasta nutrition and their company’s history and recent initiatives. 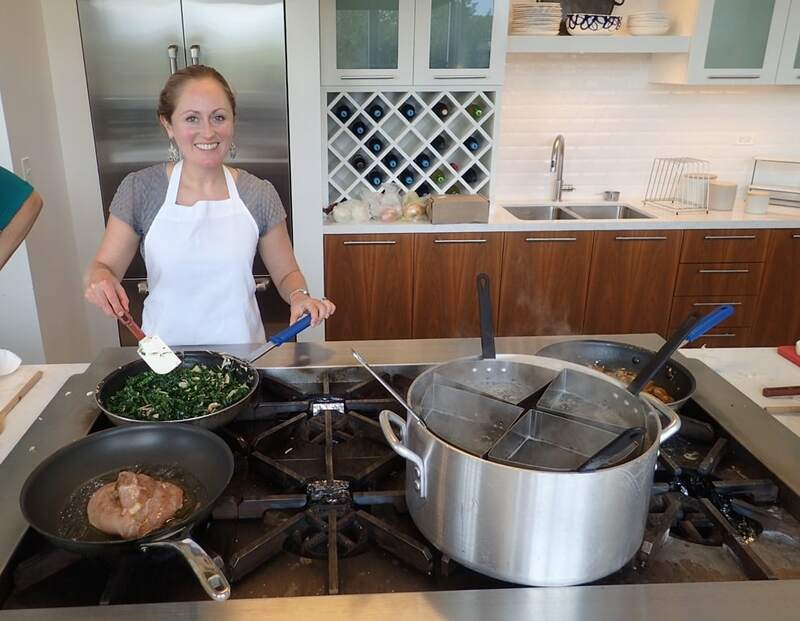 We also got to do a fun cooking challenge in their (gorgeous and huge) kitchen! 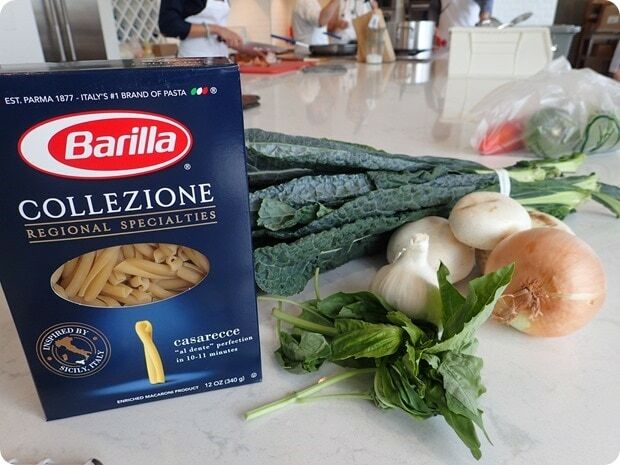 A big thank you to Barilla for having me, for covering my trip expenses, and for sponsoring this post. 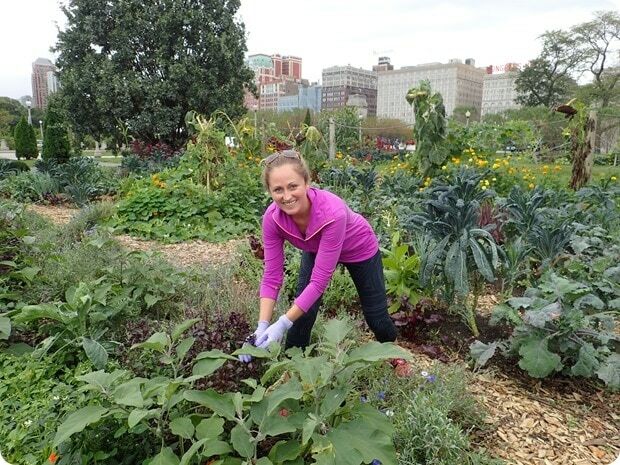 The trip began on Monday afternoon in Chicago with a hands-on experience at an urban farm run by Growing Power, which is an amazing national nonprofit organization that Barilla supports locally. Growing Power provides communities with access to healthy, high quality, and affordable food, as well as training and job opportunities. 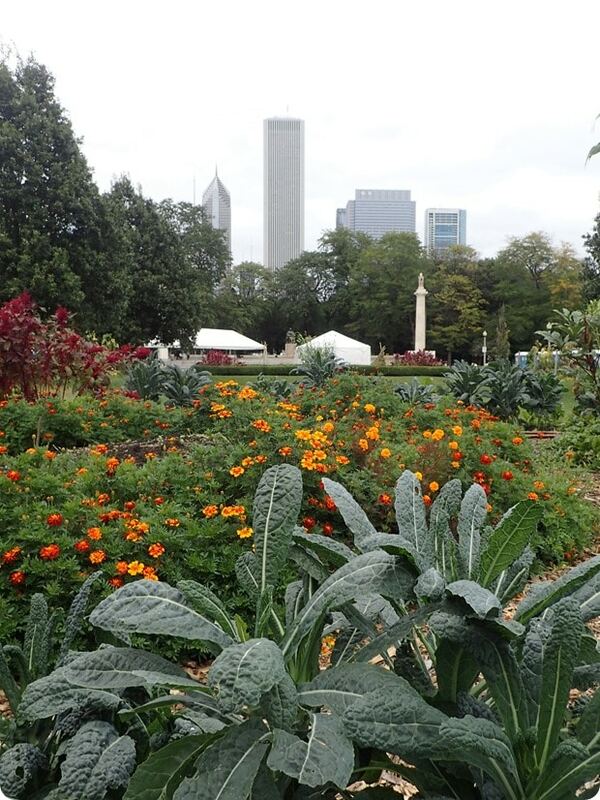 They have a few urban farms in Chicago, and we visited their Grant Park farm. So cool to see this thriving right in the middle of the city! 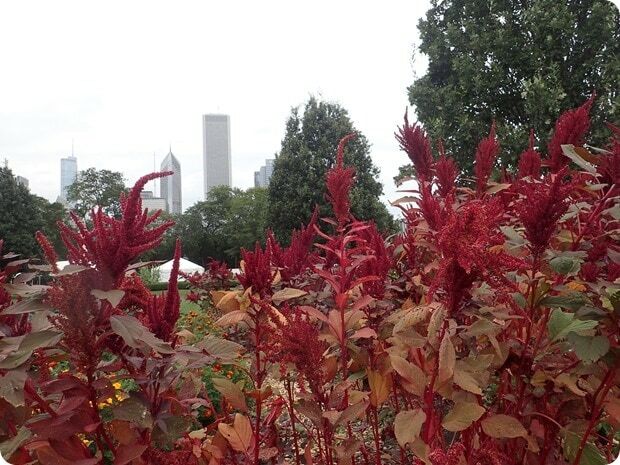 Those red plants below are amaranth – I had no idea it looked like that! 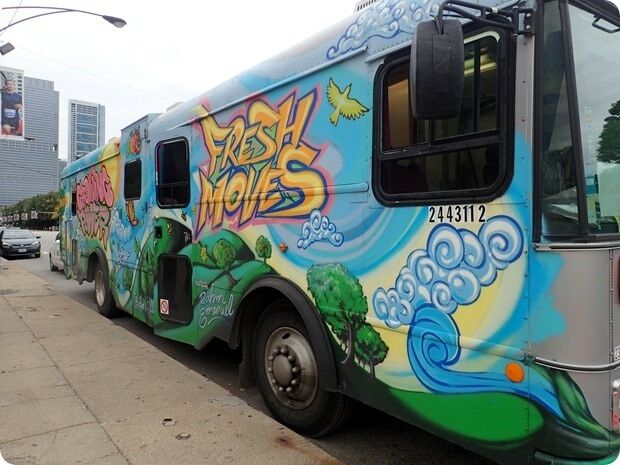 Growing Power also runs a cool mobile veggie market out of an old renovated bus (just one now, but two more are in the works) painted by a local artist. It brings affordable fresh produce (and cooking demos and nutrition education) to areas of the city that need it; they partner with local organizations to get the word out about it and hand out schedules so people know where to find it when. 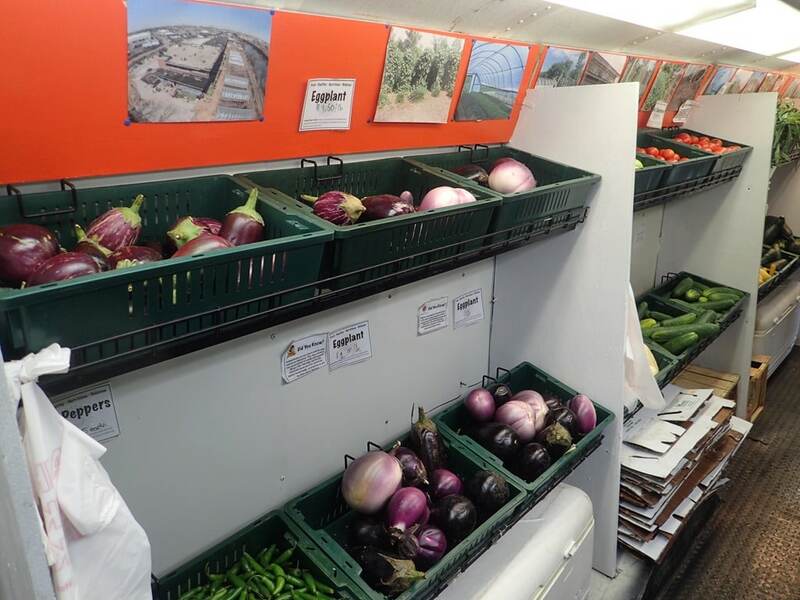 In addition to the cheap prices, they also accept food assistance program vouchers. Here’s the inside! It’s an old renovated city bus – neat. 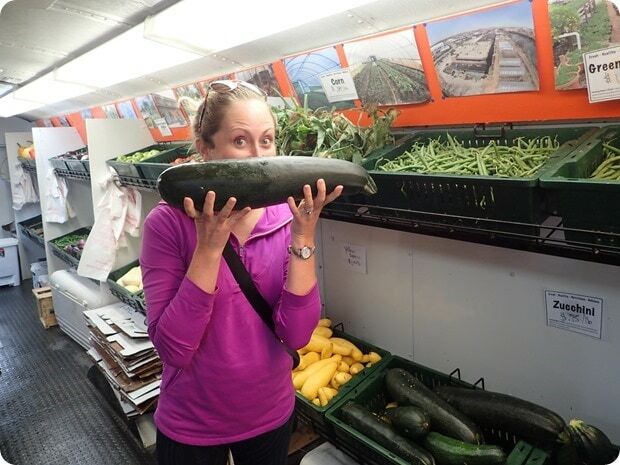 Biggest zucchini ever! Any produce they don’t sell gets donated or composted, but they said they usually sell a lot of it. 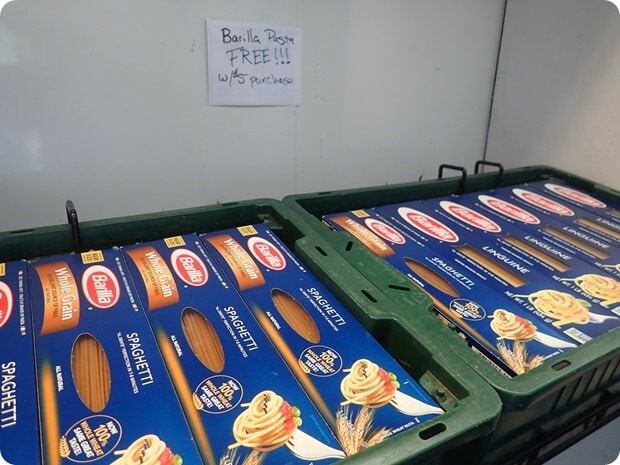 Barilla donates pasta for the vans – if you buy $5 worth of produce you get a box of pasta for free. 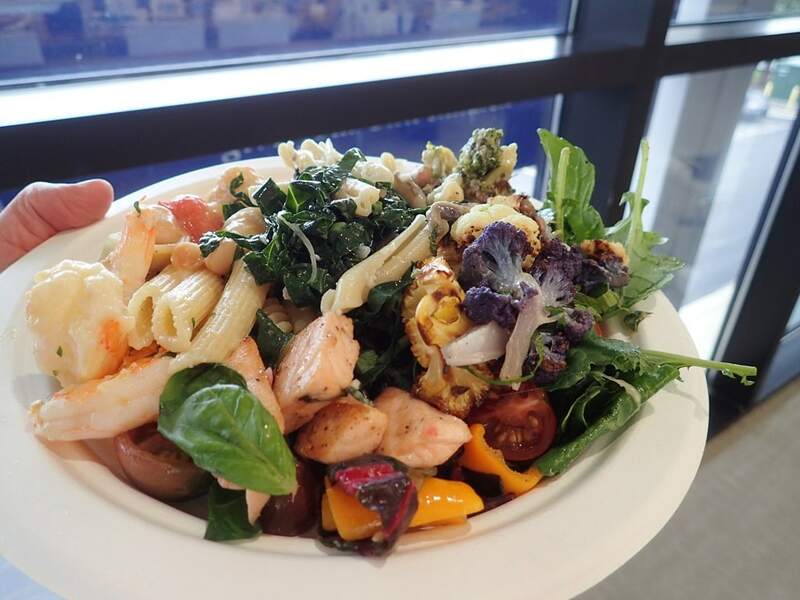 :) They also have recipe print outs available featuring the pasta and produce for customers to take with them, and have been working on creating some prepared “grab and go” healthy meals that people can buy for cheap, too. After learning more about Growing Power, we were put to work! We spent a couple hours helping them prep their gardens for the change in season. 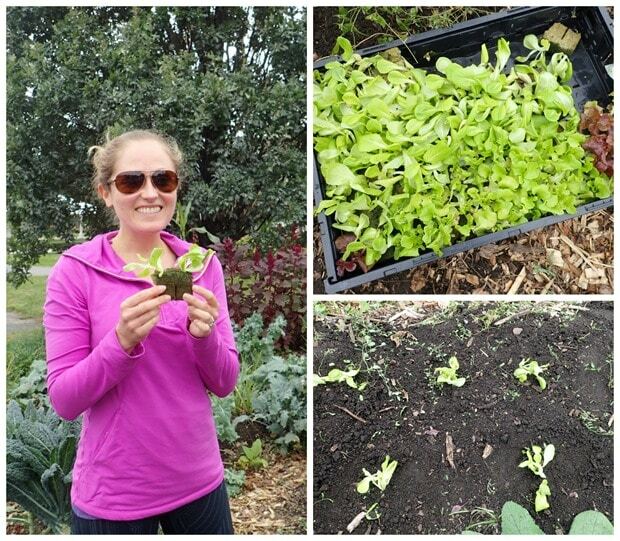 My group harvested basil and planted some new lettuce – fun! 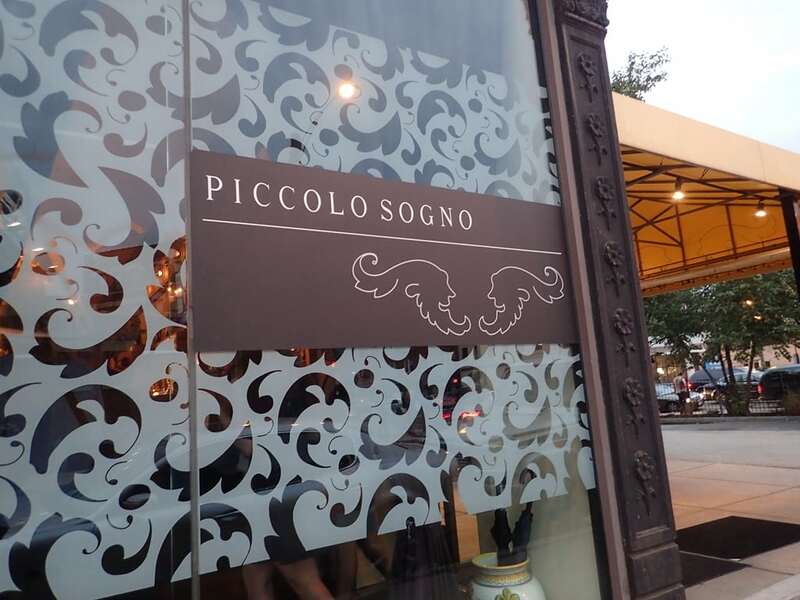 On Monday night we were treated to a delicious dinner at Piccolo Sogno, a popular Italian restaurant in Chicago. I didn’t get any food photos because the lighting was so dim, but I had the wild boar pasta dish for my entrée, which was delicious! I almost ordered the salmon but I always have salmon so I thought I should mix it up – glad I did! 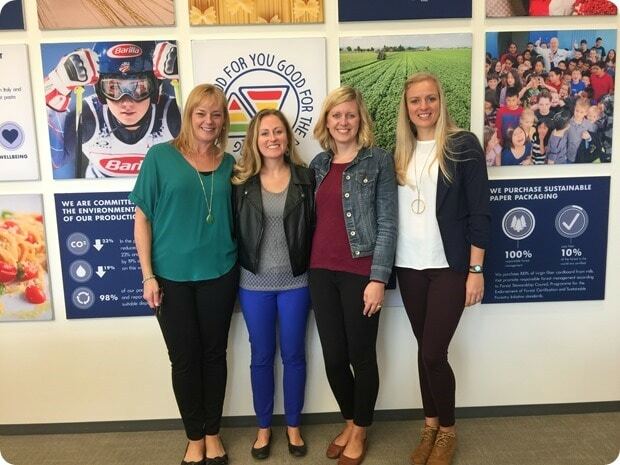 It was cool to hear more about Barilla’s history straight from their staff – everyone was obviously very passionate about their jobs! 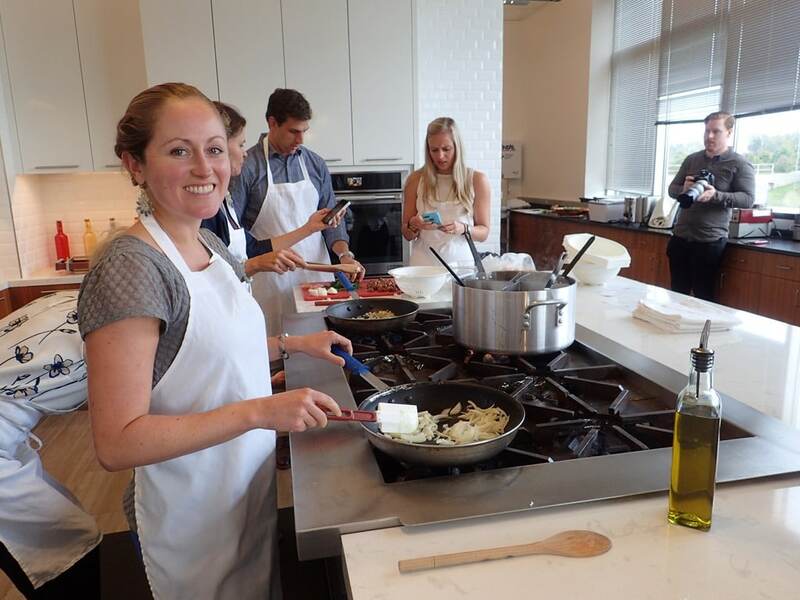 We learned a lot about pasta nutrition, too, including some things I didn’t know. Pasta is a complex carbohydrate, so the starches and fiber in it take longer than simple carbs to break down/digest. This also means it has a lower glycemic index (GI) value, which measures how quickly glucose is released into the bloodstream after eating. Translation: it won’t give you a blood sugar spike and subsequent crash. Thumbs up! Pasta cooked “al dente” (still slightly chewy) also has a lower GI when compared to fully cooked or overcooked pasta – interesting! 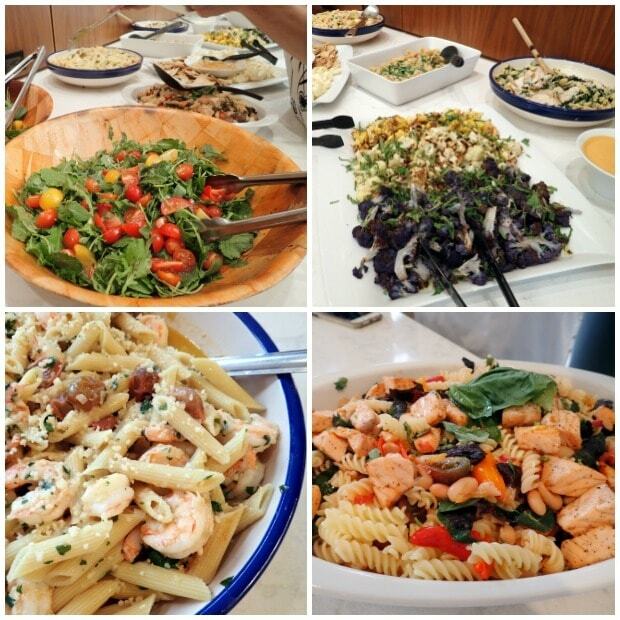 Pasta is made from durum wheat, which is a variety of wheat that has a higher protein content than regular wheat. Durum wheat is milled into a flour called semolina, which is then mixed with water to make pasta dough. The natural yellow of durum wheat’s endosperm gives the flour (and the pasta) its golden color! 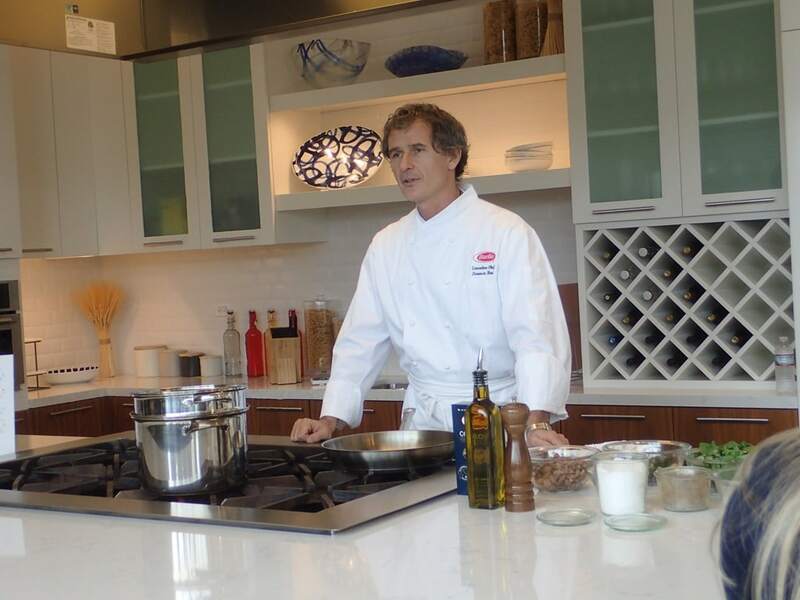 Lorenzo walked us through how to make an awesome pasta dish. 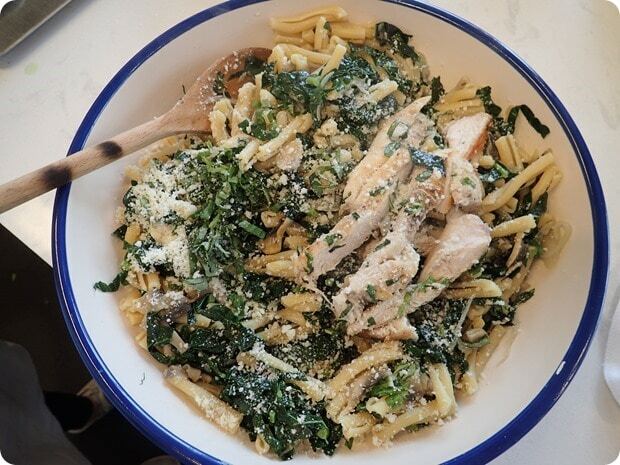 His #1 tip: cook the pasta a few minutes less than the recipe calls for, and finish it off in the skillet with the rest of your ingredients as well as a little of the pasta cooking water. This helps meld the flavors better than just mixing it last minute. Interesting! My group was fun because all of us are free form cookers in that we don’t love measuring things! Perfect that we were all in the same group. ;) We got, um, “creative” with the measurements and just winged it – cooking at its finest! 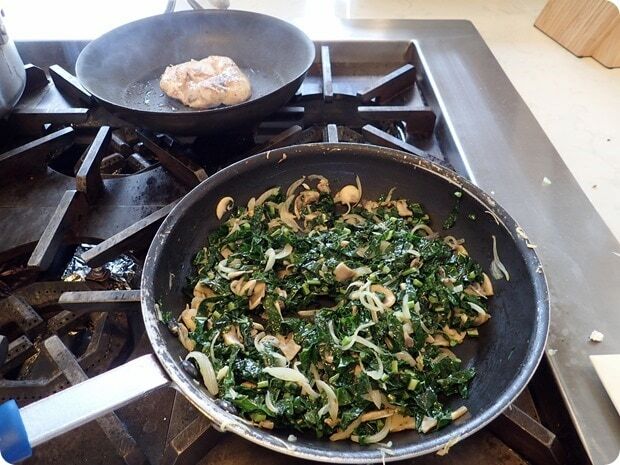 We started the onions and the garlic in the pan with some olive oil until the onions were soft, then added the mushrooms and, a couple minutes later, the (mass quantities of) kale. Meanwhile, we cooked the chicken in another pan and had the pasta boiling. 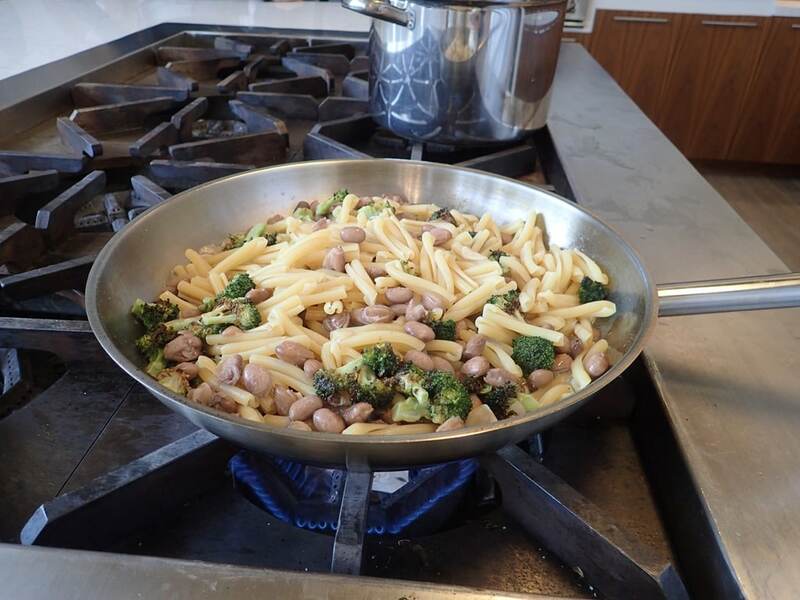 We took Lorenzo’s advice and finished off our pasta in the pan with the rest of the ingredients. Totally doing this at home – it comes out really well! 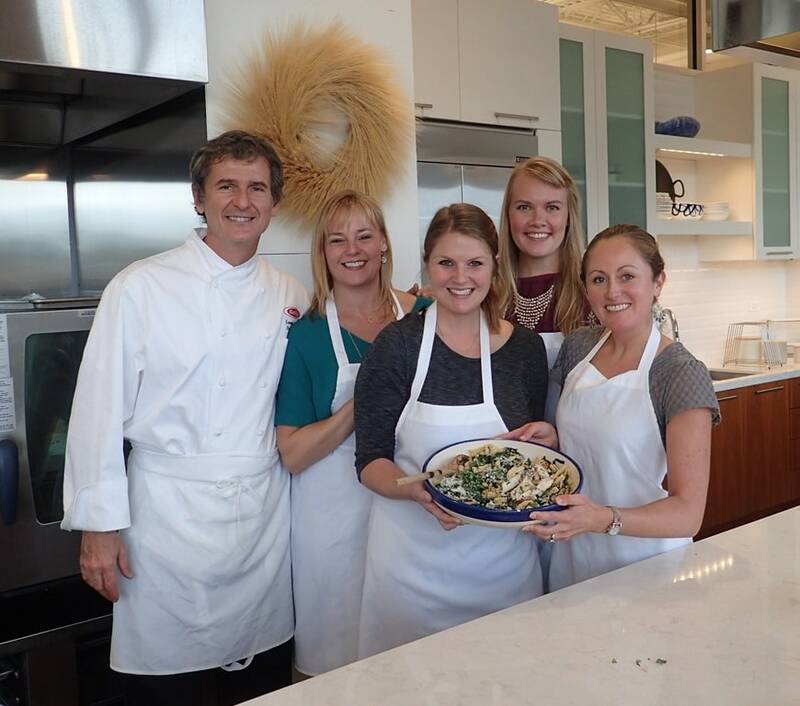 Here I am with chef Lorenzo and my cooking challenge team – from left: Melissa Joy Dobbins, Kristina LaRue, Marie Molde, and me! My plate – a little of everything! Besides my own creation, my other fave was a vegan and gluten free creation from one of the other teams made with canned beans and gluten free pasta. It was super creamy and delicious – apparently they used the liquid from the can of beans to thicken it up! Genius! Thank you again to Barilla for having me for this fun and informative trip! I love Barilla! What a fun event! Right now I’m loving pasta with pesto. Tomorrow I’m going to pick more basil and make another batch. Freshly made pesto is the best – enjoy it! I laughed for most of the article, not because it was ridiculous, but because I can’t believe that an Italian pasta brand (one of the most famous in Italy, and the best in my humble opinion) has to reach out to health and fitness bloggers to market their healthy products. In Italy you grow up learning that you need pasta and veggie every day, in the States you need to read it on the internet. More pasta means a longer and healthier life, Americans! Haha yep – pasta definitely needs a PR makeover in the U.S.! There’s so much confusion about it nutrition-wise. Such a fun experience! I love pasta, and your creation looks so lovely. I can’t pindown a favorite dish, but I love everything form marinara-based to a light pasta salad with a lemony extra virgin olive oil sauce. :) And yes, always with plenty of vegetables and protein! looove pasta! at a restaurant, always penne arrabiata. i LOVE arrabiata sauce! and penne is my favorite pasta :) at home, i make penne or fussili with marinara and a ton of veggies! that sounds like an mailing trip!! Is this something you consider when determining what companies to work with? Hi Katie, Thank you so much for reading! I had no idea about their CEO’s anti-gay comments – that’s really not cool. Thank you for sharing that with me – I’ll definitely keep it in mind for the future. How fun! I love adventures in cooking new foods! That amaranth plant is crazy huge for the tiny little seeds we get from it! I love your outfit in the picture with the other dietitians! Those blue pants are amazing!